Random.Life.Snapshots | eat. live. paleo. Our garden has expanded into 2 long planters and 2 smaller ones. We are growing: 4 varieties of heirloom tomatoes, Japanese eggplants, shishito peppers, sage, thyme, 2 types of basil (regular and “lettuce” basil), and a shiso plant. 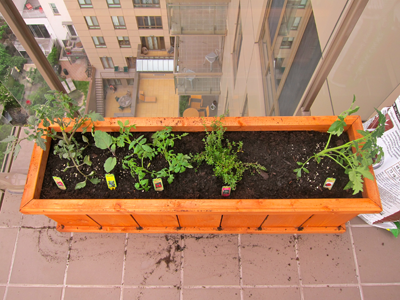 They are doing quite well and have given our balcony a lush, green look. We love our little garden! 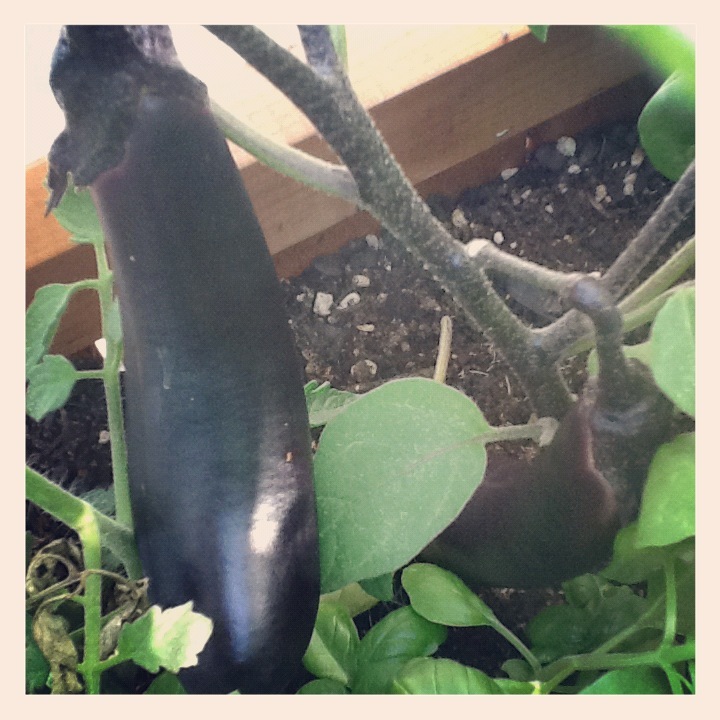 Currently, there are 2 Japanese eggplants growing very nicely. We may eat them by the end of this week! 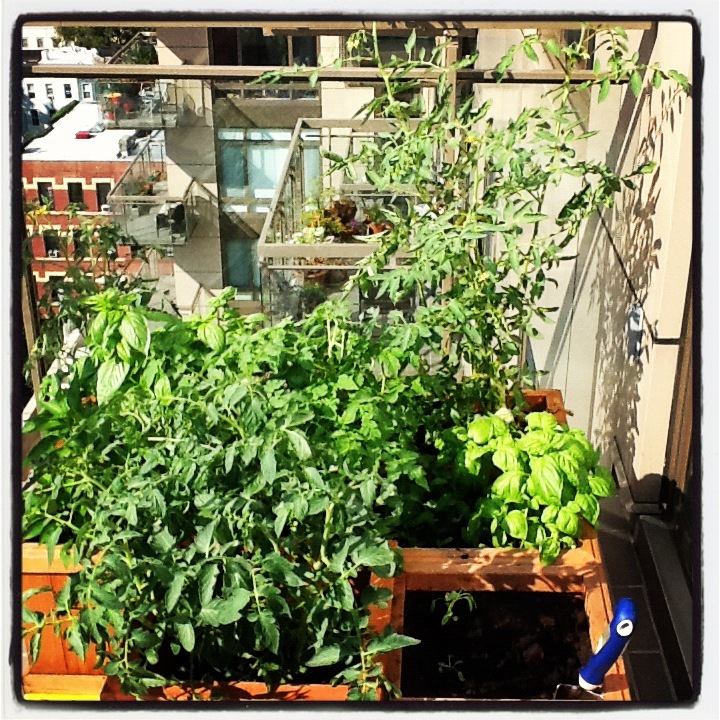 Our urban petit jardin overlooking Brooklyn — it’s giving us great joy so far this summer! 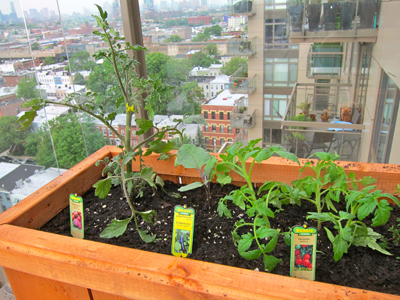 This weekend, David and I finally began a little garden on our balcony! 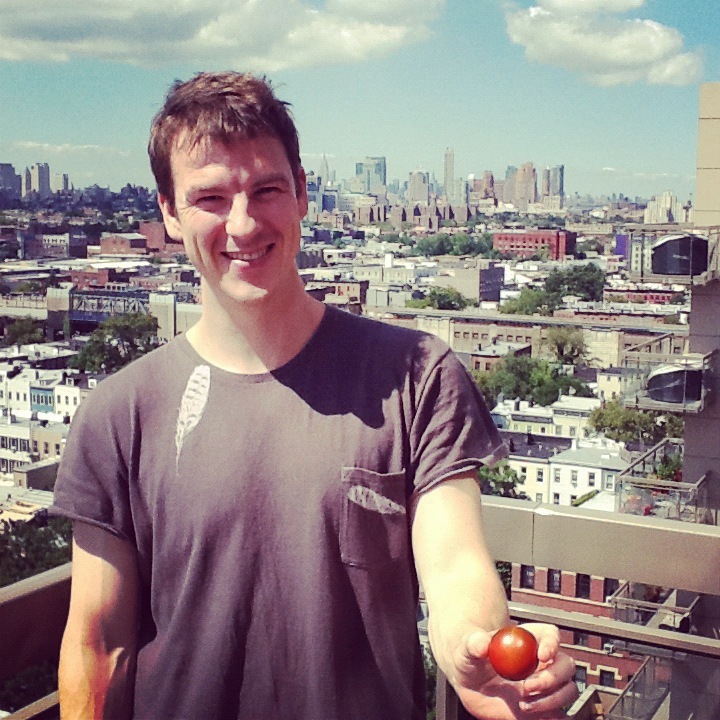 We planted 3 types of heirloom tomatoes, a Japanese eggplant, German thyme, and basil. We are excited to grow our own vegetables! Having been inspired by our first planter, we think we will get one more — we plan on adding to our vegetable roster shishito peppers, shiso leaves, sage, and another type of basil (Japanese “lettuce” basil). Here’s hoping for a plentiful summer! This week has been quite eventful and busy!! We had our gala premiere on Monday –the “pink carpet” event had many Swedish celebrities in attendance. 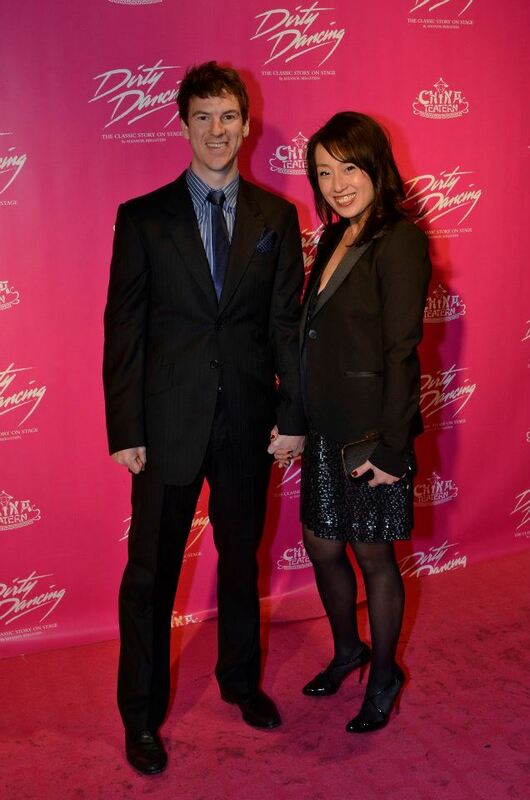 David and I walked the “pink carpet” as well (although it was freezing out!). On Tuesday was our official premiere, with press in the house. The reviews have been very good and positive — whew! 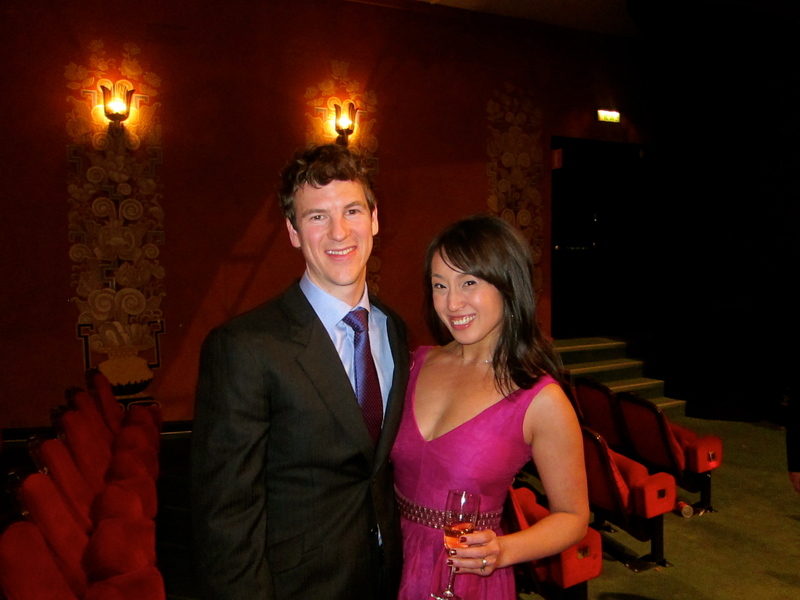 The opening was also Valentine’s Day, and we had a wonderful party with the cast after the show. Now we’re back in Brooklyn! Somehow we managed to pack up our apartment in Stockholm and return to the states in one piece. 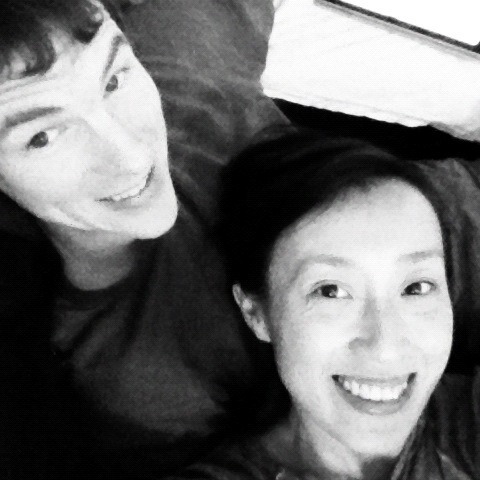 We are so happy to be back in our own apartment — and I am thrilled to be in my own kitchen!! Can’t wait to start cooking with all the gadgets I’ve so missed having in Stockholm (not the least are a large oven and a gas stove)!! 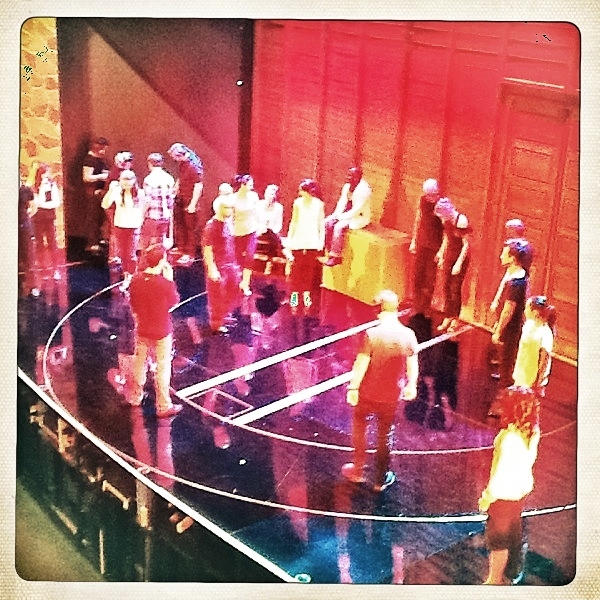 David patiently working out the intricate choreography and stage traffic in the finale. We have just completed week 2 of tech. David has been working around the clock to put the show together. 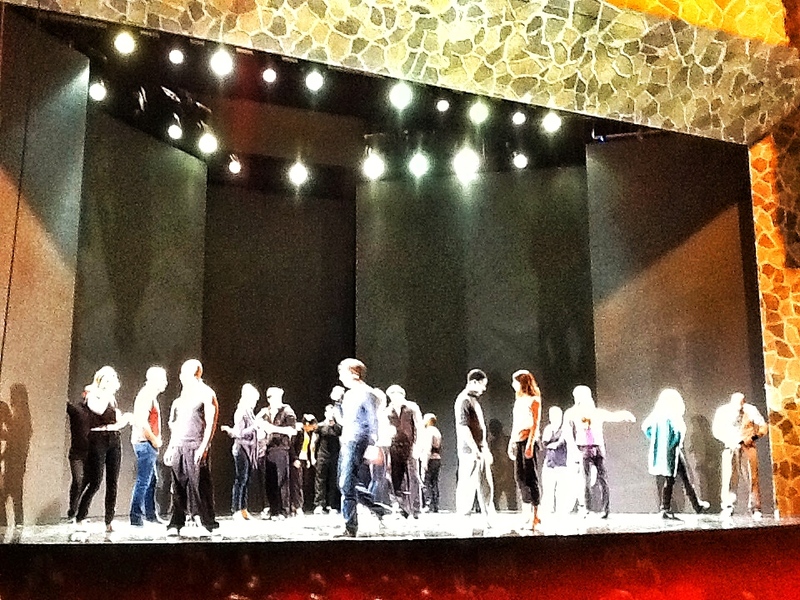 We still have a lot to do before the first preview, and David is spending every available moment fine-tuning all the choreography in the show (of which there are plenty). As we are in tech, my blogging has lagged a little bit. I continue to cook a lot everyday, though, especially since we bring lunch to work each day. There aren’t too many places to eat near the theater — there are restaurants, but they are pricy and we don’t have enough time to eat out during lunch. The “fast” food places are either McDonald’s or Max (Sweden’s version of McDonald’s), which are no good for us. So I’ve resorted to making double the amount of whatever we have for dinner, and we bring the leftovers for lunch. This process has worked nicely so far. I hope to catch up on blogging on some of the new recipes I’ve devised this week! 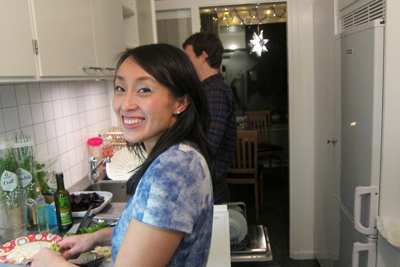 We had a terrific Christmas Eve feast in our Stockholm apartment with lovely Eleanor and Michael. 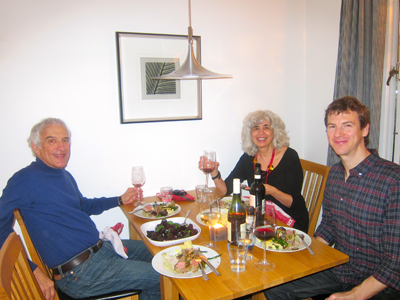 We had a wonderful, merry time, and the dishes were a great success — I shall post the recipes shortly. There will be Glögg to start, and wine to pair with the dishes. Exciting! 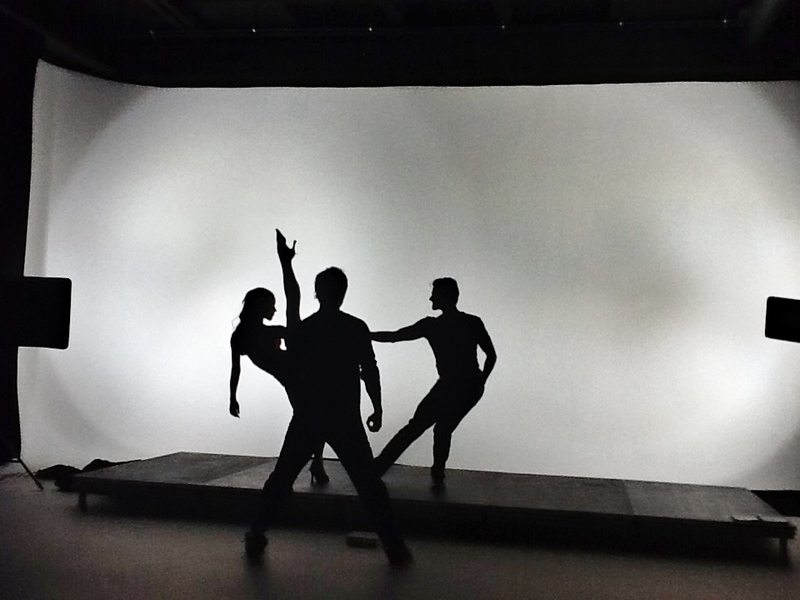 A couple of artsy-lookings snapshot of David at work, putting together one of the many dance numbers in our show…. 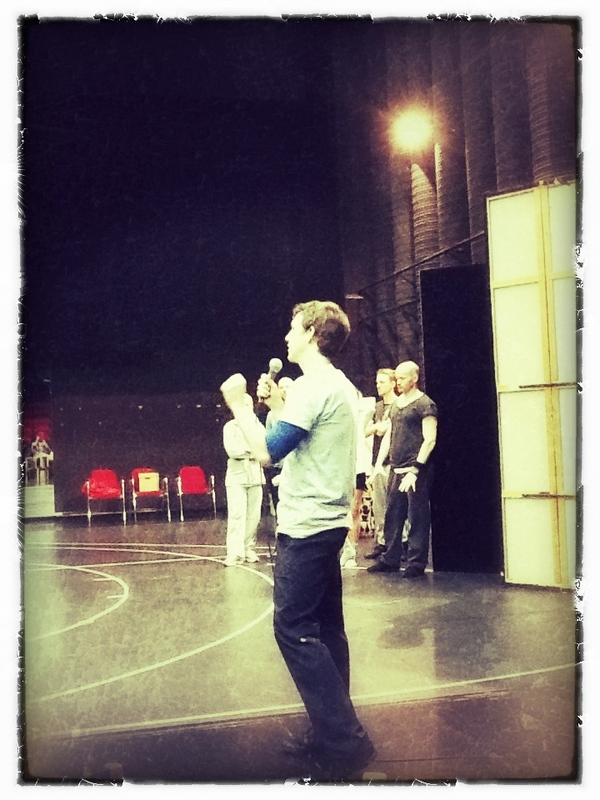 Sadly, I haven’t been able to post in the last week as we entered our final week in the rehearsal studios. 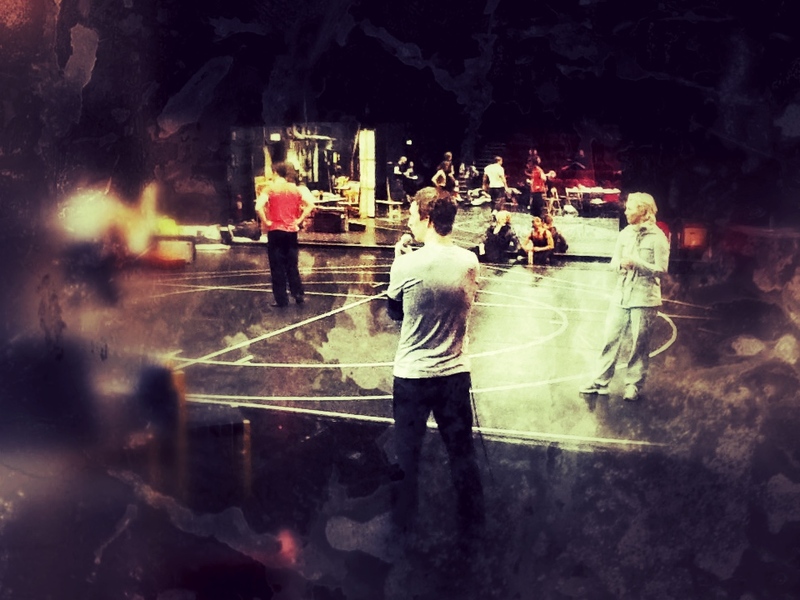 Tomorrow is our last day in rehearsals; we will break for Christmas and the New Year, then we begin 2012 tech-ing the show in the China Teatern. My blogging hasn’t been able to keep up these last few days…but cooking at home continues as usual, and I have even developed some interesting new recipes to share. Hopefully during the holidays, I will post a variety of new recipes! 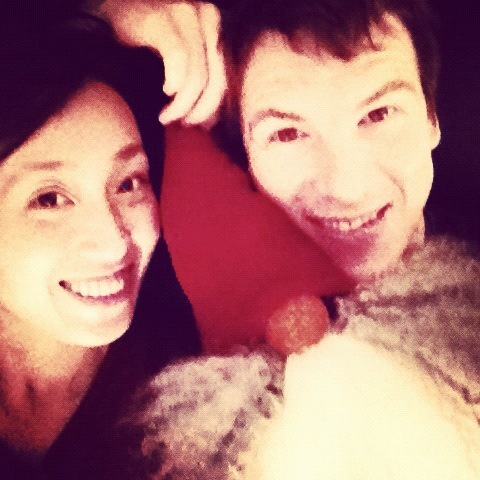 David and I will spend Christmas in Stockholm. We will host a Christmas Eve dinner party in our apartment, so I am currently planning the menu — I am thinking of making a rack of lamb, among other items. After Christmas, we travel to Ireland to attend our friends’ wedding. We’ll stay in Ireland for New Year’s Eve and come back to Stockholm to start work again after the New Year. Since our trip to Ireland is the main event for us this holiday season, we are looking forward to spending a cozy Christmas in Stockholm. Anyway, do stay tuned… many new recipes coming up! 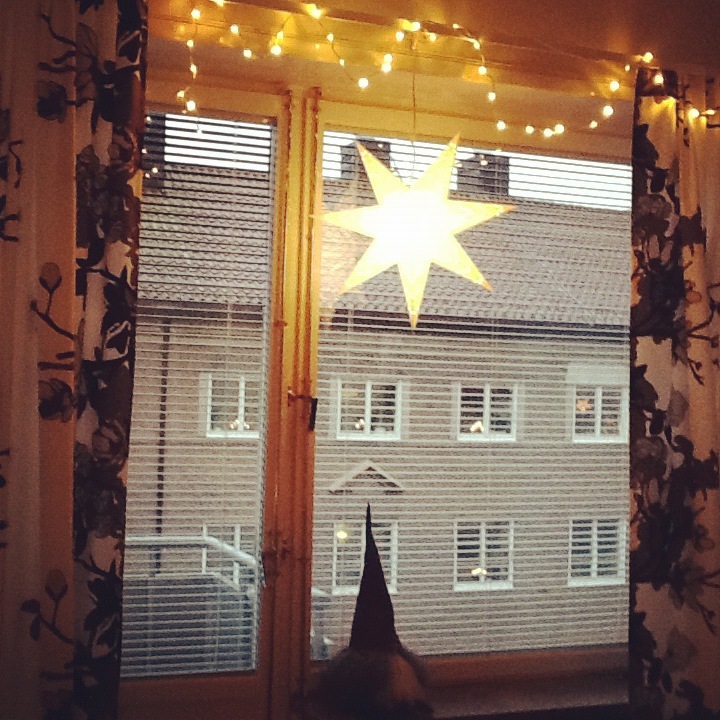 We put up lights and a paper star, as many Swedes do this time of the year. 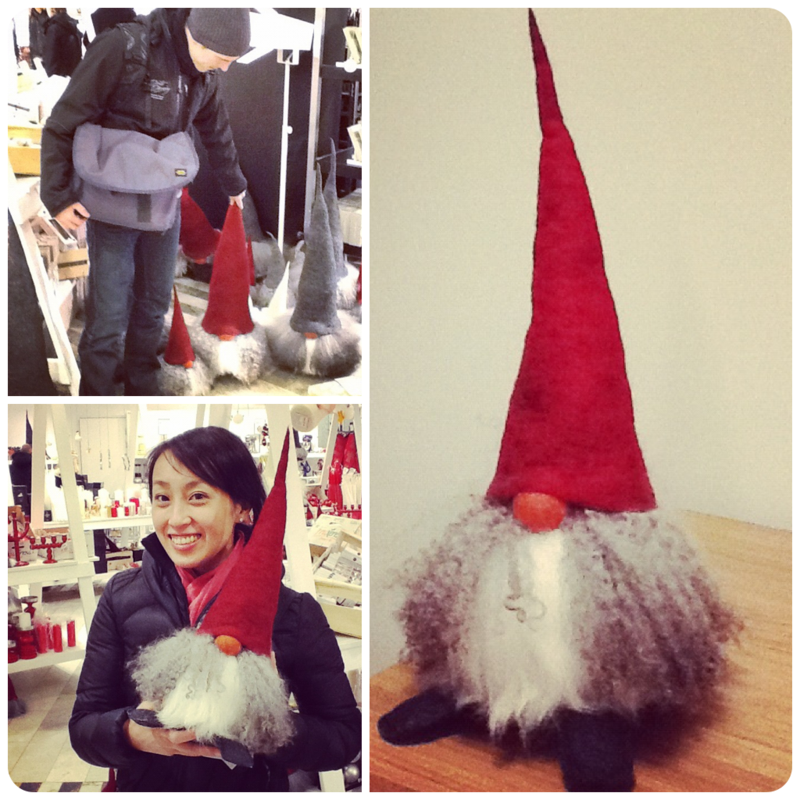 David and I bought our very own tomte to give our Stockholm home a little Christmas flair. These tomtar (pl. of tomte) are handmade, and so each tomte is unique. It took us a while for to select one, but we are quite happy with the one we chose! Isn’t he adorable?